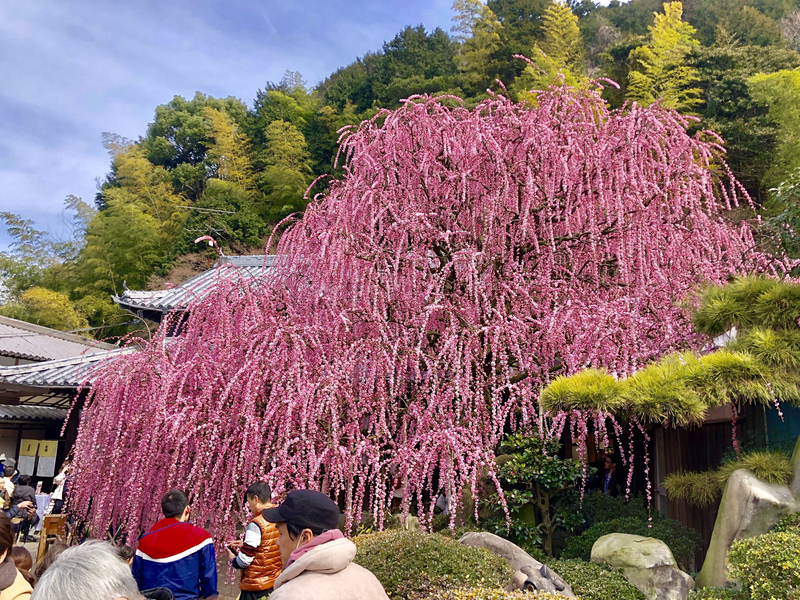 70 years of age！Come and view the weeping plum of Yagi, Awaji Island. Located in the south of Awajishima ,Minami-Awaji, Yagi, Umamawari, you can see the weeping plum which is about 70 years old. The weeping plum was planted in the Murakami family’s private garden. Every year, it is open to the public for the flowering period only. Weeping plum blossomed with vivid light crimson flowers. In the garden of traditional Japanese house, one weeping plum with a width of about 10 meters, is magnificent in bloom. Every year, weeping plum blossom between the end of February and the beginning of March. The weeping plum is only a 10 minute drive from the hotel.We will show you how to get there. When you stay with us, we will for sure recommend you to go to weeping plum of Yagi. ※February 25 – March 3, 2019, the family might provide lighting for night viewing. ④Turn left at intersection Torii (鳥井) with a light green pedestrian overpass. ⑤Go straight for a while. 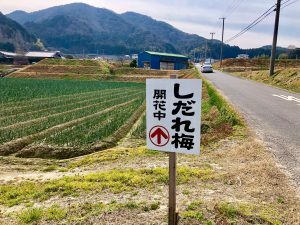 Follow the sign boards on the road. ①There is a Weeping plum in the Murakami family’s private house. The space in the garden is limited. Please be courteous with traffic and other people also enjoying the view. 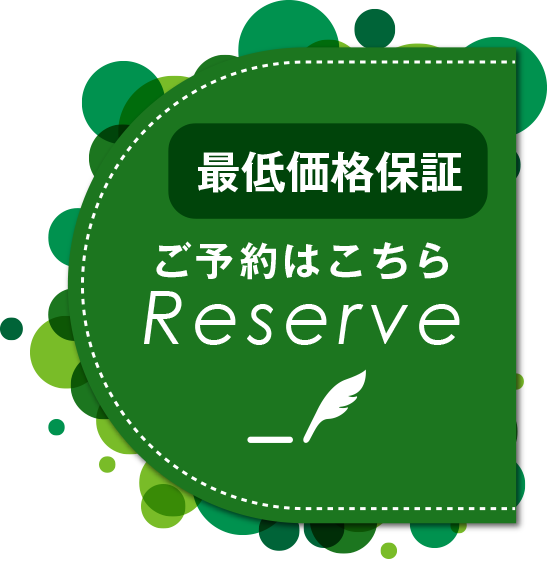 ②Car parking must be in the parking lot. Don’t park on the street. Please do not inconvenience the residents. ③Please go to the toilet beforehand. There aren’t any restrooms near the home. Based on the above precautions, please enjoy weeping plum of Yagi.